Posted on 22 June 2015. This week MPs voted on whether to give 16 and 17 year olds the vote in the EU referendum. After we forced a vote on this issue, many Labour MPs made an impassioned and logical case for extending the franchise. If 16 and 17 year olds can join the armed the forces, get married, get a job and pay taxes we should be able to trust them to participate in a democratic decision that will determine their future as much as it will ours. Despite this, the Government voted against our proposal. The Tories’ stance on this is astonishing. They are denying young people the opportunity to have their say on an outcome that, whichever way it goes, will have a tremendous effect on their lives. We know what’s at stake here for young people. Their options for living, working, travelling and studying abroad. The Tories know this too. But in effect they are saying that they don’t trust 16 and17 year olds to make informed decisions about matters which will affect their own lives. The Scottish Referendum showed us what enfranchising 16 and 17 year olds can mean – over 80 per cent of them registered to vote in the referendum last year. They participated and brought, substance, energy and vitality to the debate. The Tories are trying to push this issue into the long grass. But they cannot ignore our mounting pressure for much longer. The Labour Party will continue to fight for the rights of 16 and 17 year olds at every opportunity we get. Led by Shadow Education Secretary Tristram Hunt, Labour MPs have highlighted the inadequacies of our education system and urged the Government to initiate a cross party review of 14-19 education. The fact is we have the biggest skills gap in the developed world. Our current education system is too narrow and too focused on academia. We provide too many short-term, low quality apprenticeships. We are failing to equip young people in our country for adult life and the jobs which our economy will offer in the future. As a party we are making it a priority to ensure all young people leave education with sufficient skills so they can compete with the best in the world. The only way to do this is to reform our education system. That’s why on Wednesday we put the case to the Government to set out a more ambitious strategy for improving technical education. Labour believes in introducing a 14-19 framework with four key elements. Firstly, a core curriculum including GCSEs, A-levels and accredited vocational qualifications, which offer guaranteed progression into further study, a high quality apprenticeship or employment. Secondly, a requirement to study Maths and English up to the age of 18. Thirdly, a programme of personal skill development. Finally, the chance for all young people to undertake an extended programme on the same level as an International Baccalaureate. We believe that these four ingredients provide a simple and compelling educational structure at all levels for all students; those on academic and vocational tracks, high achievers and those needing extra support. Labour will not rest until everybody in Britain is able to leave school and college with qualifications that prepare them for a life of work; the opportunity to fulfil their potential and the chance to offer a positive contribution to our country. 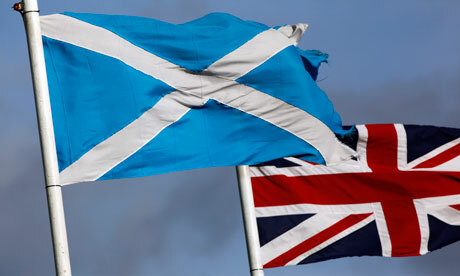 As the referendum made clear, the Scottish people want a stronger Scottish Parliament while remaining part of the UK. Labour is fully committed to this and pushed for a Scotland Bill that would transform the Scottish Parliament into one of the most powerful devolved parliaments in the world. We believe that Holyrood should have the final say over welfare in Scotland. That’s why during the debate on the Scotland Bill, on Monday, Labour pushed to devolve more powers to the Scottish Parliament over matters of welfare. In particular we proposed to devolve housing benefit, to ensure that more of the £1.8 billion housing benefit budget spent in Scotland is used to build new homes and not line the pockets of private landlords. However, while we have been following through with commitments made in our manifesto, the SNP have been teaming up with the Tories to gamble with Scotland’s future. They voted with right wing Tories and supported a proposal on Full Fiscal Autonomy which would actively damage Scotland’s economy. If Full Fiscal Autonomy was delivered tomorrow, it would, according to the Institute of Fiscal Studies, leave a £7.6 billion hole in Scotland’s budget, and place its public finances, jobs and welfare in jeopardy. Unlike the SNP, Labour is not prepared to walk blindly into an arrangement that would be damaging for Scotland. We believe the people of Scotland need to know the truth about what the SNP and Tories are proposing. That is why we are going to push for a full and impartial review into the impact of FFA on Scotland’s economy. We will continue to argue that Scotland is, as part of the UK, best placed to pool and share resources alongside a powerhouse Scottish Parliament. Toby Perkins MP marked Learning Disability Week by pledging to listen clearly to the voices of some of the 1.4 million people with a learning disability in the UK, many of whom feel they are passed over by people in power and that the issues that are important to them – like hate crime, welfare, better healthcare and education – are often not talked about. Chesterfield MP Toby Perkins had a strong message about the importance of valuing carers when he attended a training event organised by the Derbyshire Carers Association as part of National Carer’s Week. Carers Week is a national annual campaign to raise awareness of caring, highlight the challenges carers face and recognise the contribution they make to families and communities throughout the UK. Toby was attending a free manual handling training event at Chesterfield Royal Hospital’s Hartington Unit, which was organised by the Derbyshire Carers Association (DCA) to give carers the necessary skills to reduce injuries to themselves and those they care for. Toby said “there are thousands of carers across Derbyshire working 24/7 to care for loved ones, and whilst they dedicate themselves selflessly to this vocation, many carers end up with injuries due to the care they provide, particularly back injuries. It is vital that we provide them with the equipment and training needed to ensure they stay healthy too”.